Thinking of vacationing in St Lucia? We went on a hunt on Instagram and came up with the 10 best Instagram travelers that had the privilege of vacationing in St Lucia. Their photos are to die for and will make you want to book your trip to St Lucia right about now. Sam is our travel inspiration buddy. The photo below is of him visiting the beautiful island of St Lucia for his 22nd birthday! Do you need more reasons to visit St Lucia? Be sure to follow his Instagram account here. Sabrina is an amazing blogger that blogs over at Clutch and Carry on. Her Instagram account is full of wonderful photos and we love her photos of her stay at the Jade Mountains Resort. Be sure to follow her on Instagram for more gorgeous photos. If you are a foodie and are not afraid to eat, then @Joannasable is who you must follow on Instagram. You will find nothing but amazing food on her Instagram page, including this yummy meal she had at the Body Holiday. Find out more about Joanna Sable here. We are just in love with this amazing photo of St Lucia from @Proseccoandpassports! Her entire Instagram account is full of amazing places to visit. Check out her blog here. Sugar Beach, St. Lucia 🌴 ⠀⠀⠀⠀⠀⠀⠀⠀⠀ This exclusive little beach is nestled between the two Piton mountains. My past photos feature the view of Petit Piton, with the peak of this one, Gros Piton just peaking out in the back. Sugar Beach Resort is crazy expensive, but we got a day pass that gave you a ride down the mountain to the beach, and a credit to the bar and restaurant. It was the perfect way to spend our last day! ⠀⠀⠀⠀⠀⠀⠀⠀⠀ A massive headache (maybe even my first ever migraine) hit me not long after this photo and made our traveling for the rest of the day BRUTAL. We had two brief flights, one to Barbados and the next to Grenada. Check my stories for the mess of a human I was! ⠀⠀⠀⠀⠀⠀⠀⠀⠀ I’m feeling better today and would love to hear any suggestions for exploring Grenada for the next week! This beautiful shot was taken at the Ladera Resort in St Lucia and you can see the view of St Lucia from the Pitions. If you are not afraid to hike the Pitons, then you should attempt this activity. You can follow @travelingtheworld on Instagram and also visit their website here. Alec Pulvidente’s Instagram account is amazing. We can not get enough of this stunning shot below of Alec in St Lucia. He stayed at the Caille Blanc Villa in St Lucia. For more amazing shots, be sure to follow @alec_pulvidente. What a way to end the perfect vacation in St Lucia with @Lifeoutofourbackpack! This Instagram account is managed by Max and Lou. We love all of their travel images and the one below is just begging us to go on vacation. We are glad to feature Kristin in this post. She was featured on our blog where she gave us an amazing review of her full trip to St Lucia. You can read her feature here. Follow Kristin on Instagram. In love with this travel model. 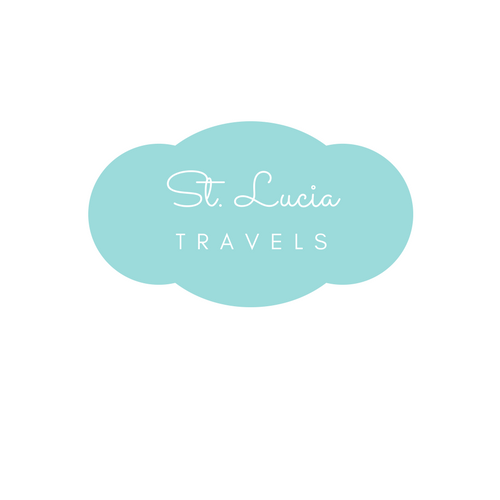 If you are thinking of traveling to St Lucia, then this post should inspire you. This Canadian blogger has amazing travel photo inspiration that will make you fall in love with traveling. Follow @Jackiemcrae_xo on Instagram. Johanna captioned this really well “Please stop waiting for permission to be excited, to travel to foreign countries, to wear that dress, to write that book, to get happy or to feel beautiful.” So book that vacation to St Lucia today! Follow Johannacfit on Instagram. Which of these Instagram followers will you follow? If you liked our post: Pin it here! Great post! Insta Pics of so many travelers at one place!! Yes I’ve heard so many amazing things about St.Lucia and saw so many beautiful photos! These guys had the time of their life, Looks like a paradise. I’ll definitely follow them. Wow! St Lucia has always always been on my travel bucket list but I feel like it will still be a while before I can visit. These accounts will have to curb my wanderlust for now…thanks for sharing! A really nice idea to put together a list of Instagrammers for a place. Thanks for taking the time to do this! Nice collection of instagrammers. I loved St Lucia when we made a day stop on our Caribbean cruise. The pictures are still alive in my memories. Thanks for sharing the pictures. Fabulous pictures, now I want to go MORE!!! Wow wow wow! Thanks for sharing! It’s always fun to follow fellow traveler! We love to be inspired! Oh my their photos are amazing!! They represent st. lucia well in all their fun posts! I have never been but hope to go someday soon! St Lucia looks really awesome. It’s wonderful to know about so many Instagram accounts at one place. Thanks for sharing. Well, these traveller prove that St Lucia should be on everybody’s bucket list. But can also be travelled rather low key – not necessarily backpacking, but just a shack on the beach or so? I prefer that over these luxurious resorts, somehow they are just the same wherever you go. Thes photos prove how beautiful St Lucia is. This brings back many good memories of my husband and my honeymoon there 15 years ago! Nice roundup. Those photos are just amazing. The blue sea, green forests and mountains are just mesmerizing. Would surely love to to there. St Lucia looks like a lovely place and these instagrammable profiles are evidence for that. Such a great list! They are truly inspirational. All bloggers are amazing. I will check their website for sure! Amazing pictures! St Lucia looks absolutely incredible. We’ve been trying to find a honeymoon destination and I think this would be perfect. So luxurious! I think it would be a great idea as well . Check out the article about why you should choose St.Lucia for your honeymoon. These photos are awesome collection that showcases the beautiful island of St Lucia at it’s best. I have not been to the Caribbean yet but have been wanting to visit for quite some time and this is on my bucket list too now. I really enjoyed this roundup! I’ve never been to St. Lucia, but it looks absolutely lovely – I bet the pictures don’t do it justice! I love food bloggers. Though I have never been to St. Lucia, I am officially hungry now and want to visit! Great roundup post here. I need to check out these Instagram accounts. Their photos are so beautiful. Such a beautiful place, I’ve never been in this place before but because your compilation I feel like I see this place already. Thank you for sharing this with us! These Instagram bloggers pictures look amazing. I would love to one day visit St Lucia. Wow! St Lucia is not somewhere I have ever thought about as a travel destination before buy my gosh is seems super beautiful and popular judging by all the Instagrammers (sabrina Chakiki) that have chosen to travel there and take amazing photos. I particularily like the one of the girl in the infinity pool having breakfast…Not Jealous!!!! Beautiful pictures of St. Lucia. I was just showing my daughter (whose name is Lucia:-)) some pictures of this beautiful place the other day and we’re definitely planning to visit one day. Such gorgeous photos! You filled me with wanderlust just looking at them. I will have to find these Instagram accounts and follow them. I love reading travel blogs too, so I am definitely a fan of these bloggers! this give me the travel bug, I want to visit St Lucia now (right NOW!) it’s mid-April and MN is having a huge snow storm… sooooo, I could use a tropical beautiful place to escape to!